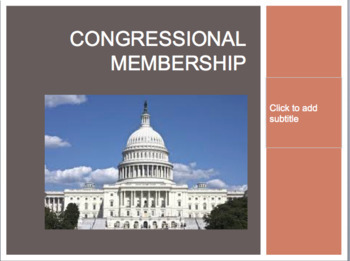 You will receive a powerpoint and guided notes covering Congressional Membership! 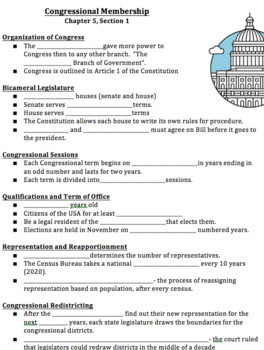 There is a link on the powerpoint to the Gerrymandering Crash Course on youtube! I like to show my students these videos for discussion purposes!